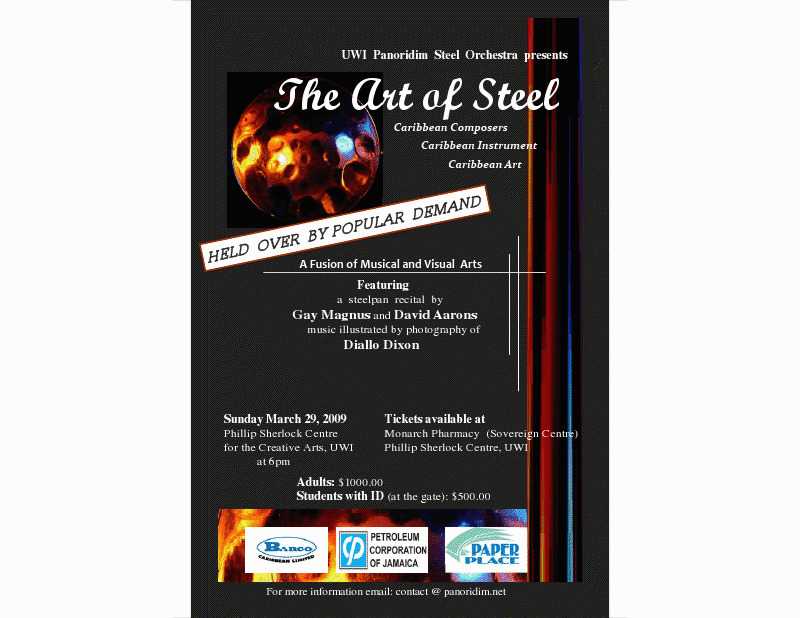 “The Art of Steel” is a a musical recital being held today at 6pm at the Phillip Sherlock Centre for the Creative Arts, UWI. It will showcase music composed by twentieth century Caribbean composers. The “Art of Steel” is an innovative addition to the Jamaican entertainment scene featuring steel pan performances and photography. As the musicians perform, photographs will be displayed on screens strategically placed on the stage with the performers, creating a seamless fusion of musical and visual arts.